In this time of division over the United Methodist Church’s recent decision towards a more traditional approach to human sexuality, Camp Magruder will continue to train, support, employ, and learn from LGBTQ+ persons who have been called to be part of our great mission of offering Christian hospitality and learning. The process within our global faith tradition to work through these issues is far from over. Through this time of continued reflection we remain committed to partnering with people and groups doing good in the world whether gay or straight, gender nonconforming or conforming. We believe this commitment is a key to what the church will be in the 21st Century. If you have felt hurt, neglected, or unheard by the General Conference decision know that Camp Magruder is working to create a safe place for all. We want to love our neighbors, not just in principle, but through the actions of listening, sharing, and working side-by-side in community. May we continue our sacred work around the campfire together. More than thirty camp programs and registration events are offered by Camp Magruder each year. 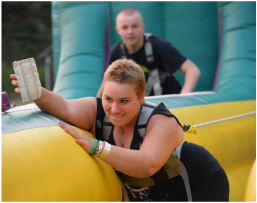 There are camps and events designed especially for children, youth, teens, families, grandparents, and those with special needs. 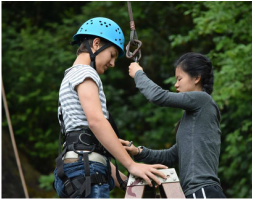 Camp Magruder is accredited by the American Camp Association. Explore this wonderful location and venue for your next church, school, or non-profit organization event. Camp Magruder is a member of the Christian Camp & Conference Association. 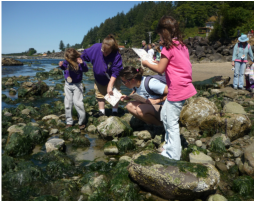 Camp Magruder partners with Northwest ESD to deliver outstanding outdoor education programs to children. Most participants are sixth graders.